From time to time users will post a request to our members to complete a survey or questionnaire for them, usually related to some university or college work. 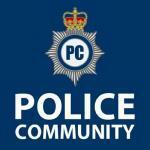 If you have a survey that you'd like users of Police Community to complete, then please create it within this forum area. All requests will need to be approved by the Moderation Team before being visible to the members. Requests for forum users to complete surveys that are posted elsewhere will be deleted without consultation. You must enter a date that the survey or research project is due to be completed on so that we can remove it from our website once complete, this is so that users aren't left posting data to a survey that's no longer needed. Any new PC candidates starting on 29th October? Who would you rather talk to?